Good Looks Eyewear has featured products for our consumers every month of the year! Our featured products for the months of December and January are Tiffany and Co., Bvlgari, and Giorgio Armani. If you purchase any one of these three high quality products, you will receive a FREE $25 gift card after purchase and automatically entered in a chance to win a FREE pair of sunglasses! 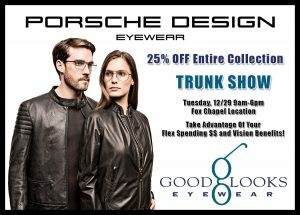 Each of our Good Looks Eyewear locations (Fox Chapel and Cranberry) will have a winner. The winners of the contest will receive a FREE pair of sunglasses from one of the featured brands (Tiffany and Co., Bvlgari, and Giorgio Armani). The featured products promotion will end on January 31st, 2016. 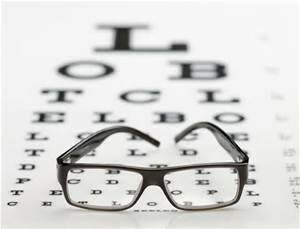 Stop down to one of our two locations and our ABO certified opticians will be more than happy to assist you! With the New Year upon us, an opportunity exists for customers who maintain either an HSA (Health Savings Account) or a FSA (Flex Savings Account). With our company being able to accept these funds, our employees can help you understand the opportunity to use these funds to benefit your life and well-being. Under these programs, customers and patients alike can use the pre-tax benefits that are provided to pay deductibles, co-payments, refractive options and prescription eyewear. What an opportunity to invest in your own health, while benefitting from tax savings. Flex spending becomes available on January 1st and will usually expire on December 31st, however depending on your provider and their policies, it may expire on March 15th. You want to be sure to take advantage of the flex spending, because in most cases the funds in the account will not carry over into the New Year. If you do not use your flex spending funds within the allotted period, you can lose the funds. Talk to your employer about your specifics for their flex spending account policies, some let you carry up to $500 of unused funds into the New Year. Health savings is a little different from flex spending, but they are basically the same. For health savings, the money that you don’t use will roll over to the next year and never expire until they are used. You are also able to constantly gain more health savings funds throughout the year. Talk to your employer about how you are able to increase your funds. When coming to Good Looks Eyewear or Insight Lasik and Refractive Group, one of our staff members will be happy to assist you with flex spending and health savings spending options. You want to be sure to use all of those flex spending funds before they run out at the end of the year. We look forward to seeing you!